The guys at Side Show World have solved an internet mystery for us. For years we’d see crazy black and white photos pop up of a guy riding a primitive looking full pipe. I remember seeing photos credited from Cape Town and always wondered what the hell was going on. After checking out this article it all makes a bit more sense. 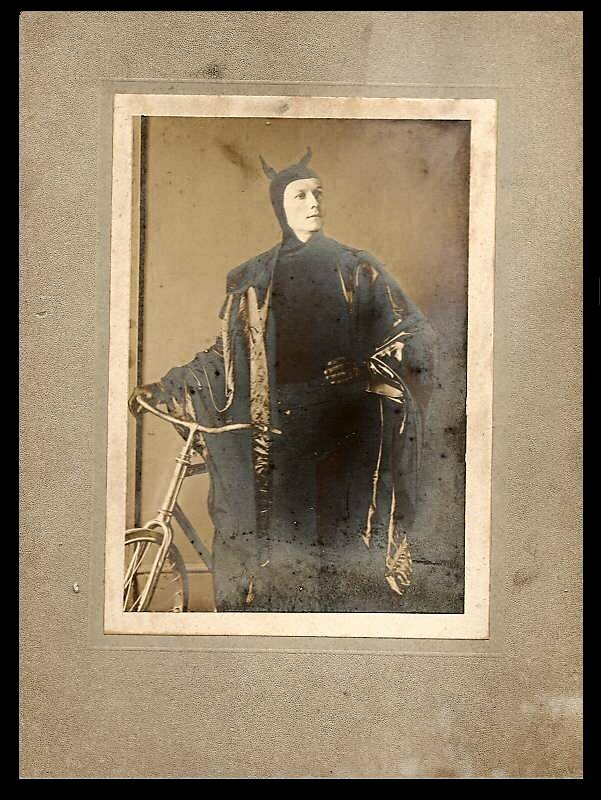 The rider, Diavolo (J.C Carter) toured the world in the early 1900’s bringing this full loop freak show to the masses. By the looks of it they toured the UK, India, South Africa, Asia and America traveling with a circus. 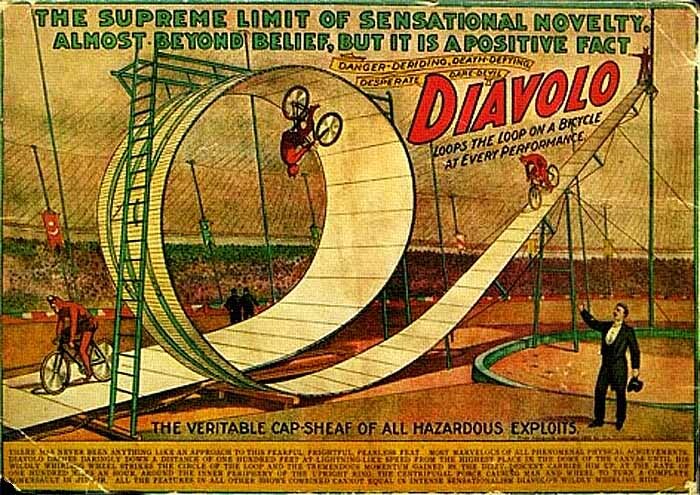 God knows how they transported the set up back then and can you imagine the early attempts at riding this thing? Reportedly over 300 guys applied for the gig and many died in the process. 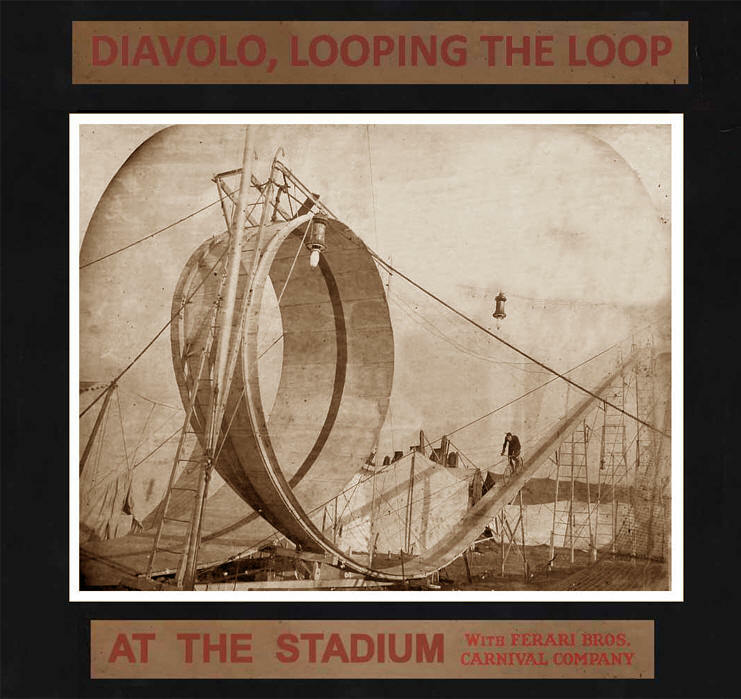 Ultimately the loop claimed Diavolo’s life too at a show in Singapore. This should be a Hollywood feature film.